“Born on the track, built for the road”. 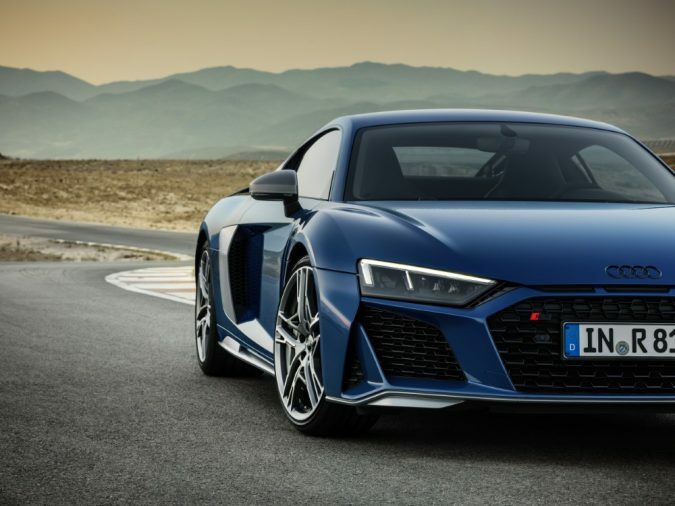 That’s Audi’s philosophy, and with their newest update on the 2019 Audi R8, it seems as if they’re running all the way with it. There’s a host of new changes to the luxury high-performance car, and if you were a fan of how they did things with the previous models, fear not. They’ve kept what made the previous versions of the R8 great. The revered naturally aspirated V10 petrol engine is one such constant. What’s more the new R8 shares a sizeable amount of DNA with the R8 LMS GT3, revealed recently at the 2018 Paris Motor Show. That’s 50 per cent shared parts with the GT3, to be specific. That’s a good stat. Audi promise instant response, high-revs and a unique sound from the 10-cylinder engine at the heart of the machine. The PS (that’s a close equivalent to bhp – one PS is equivalent to 98.6 per cent of one bhp) on the standard model has been increased by 30, from 540 PS to 570. Torque has been whacked up from 540 to 550 Newton-Meters, also. Moreover, the the R8 V10 Performance quattro turns over 620 PS, an improvement of 10 from the previous version. 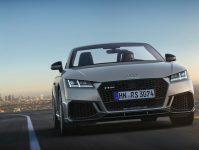 Audi have credited this improvement as the result of an optimised valve train complete with titanium components. We all know what this means: serious speed, available instantaneously right at your finger tips. You can expect to be hurled to 62 mph in 3.1 seconds in the Coupé, with the Spyder getting there a tenth of a second later. Prepare to have your organs loosened. All of these impressive, slightly terrifying statistics and bench-marks are perhaps to be expected from the German giant’s highest-spec model. 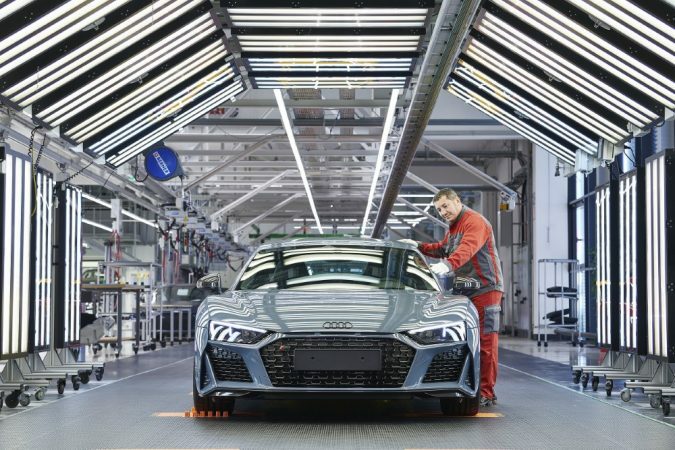 The R8 is manufactured on one location, at the “Audi Böllinger Höfen” site in Heilbronn. Again, as you might have expected, the manufacturing process is in the safe hands of no less than 500 highly-qualified employees. Indeed, Audi are keen to highlight the rigorous testing process that each individual car is subjected to before being released for sale. But it isn’t just in the engine department where Audi have sought improvements. The suspension on the newest model promises to be sharper, more stable, and more precise than ever before. Not only is the steering more responsive, but switching between different drive modes is now faster than ever. The distinction between the different driving modes Audi Sport offer – comfort, auto, dynamic, and individual- is now even clearer. 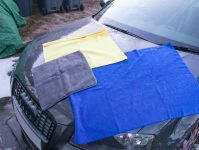 Further, on the V10 Performance quattro we can choose between dry, wet, and snow as different modes, bolstering the versatility of the machine. There’s no denying it: the new R8 looks great. More than great, it looks threatening, like a war machine. And you can bet that it sounds like one, too. 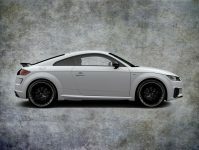 Aside from a few modifications to the exterior of the car such as the front grille and select air vents; customers can further choose from three exterior packages, which depend on the engine variant of the model. 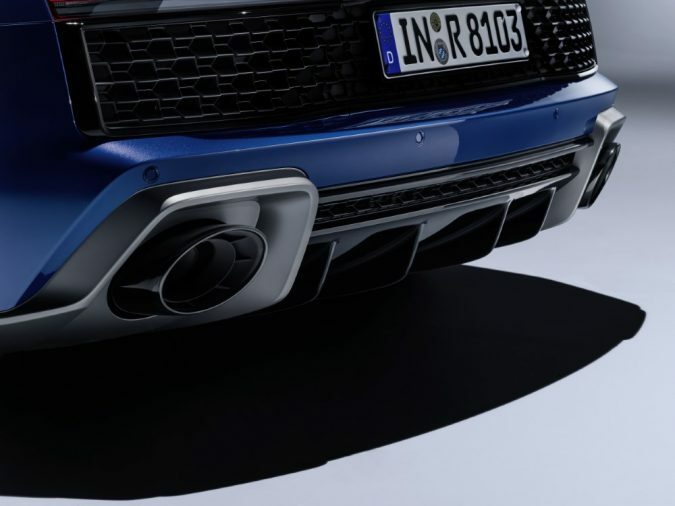 The R8 V10 quattro comes in high-gloss black as standard, whilst the top-of-the-line version – the R8 v10 Performance quattro comes with a matt titanium look, like that of a fighter jet. The modifications to the design are not limited to the exterior, however, and the Audi exclusive range gives customers a chance to customise many aspects of their R8. Both inside, and out. 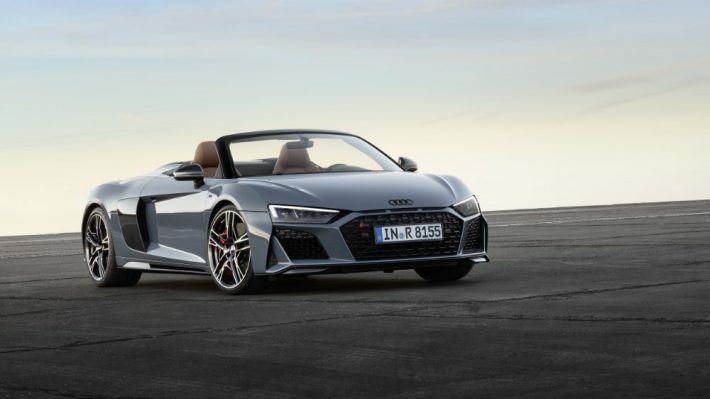 The new R8 models will be available to order in the first quarter of 2019 across the UK. Nice to see a car manufacturer sticking to their guns making something decent and powerful with plenty of horsepower and noise! Great Review. Thanks for sharing with us.